2X - $40.99 Only 1 left! It's time play doctor! But...not in the way you used to as a kid. Now, you may be all set to dress as the noblest of all professions this Halloween, but everyone knows that brains don’t make the doc. Nope, it’s the coat! Think about it, would you trust a doctor who wasn’t wearing a white coat? Us either! 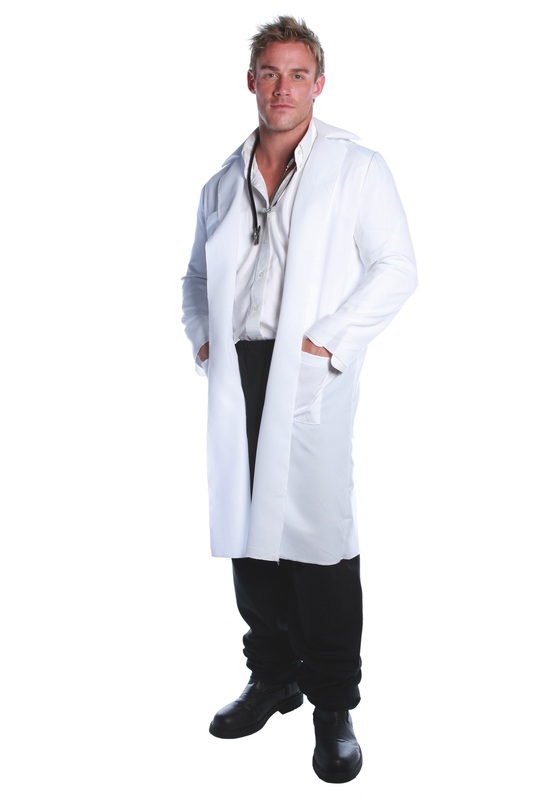 So to really pull off your authentic Halloween look you will undoubtedly need this Plus Size Lab Coat--it’s the perfect Rx for a boring doc costume. This coat can also be used to craft a number of other notable characters for the big Halloween bash--Einstein, Doc Brown, a mad scientist, or an evil dentist (just spatter it with some fake blood! ).